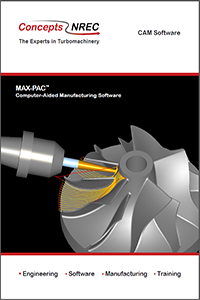 MAX-SI CAM software creates 5-axis NC instructions for milling integrally shrouded turbomachinery components including expanders, pumps, process compressors, turbines, and turbine nozzles. MAX-SI is also used to generate machining instructions for large axial compressors and blisks using a side-entry machining approach. 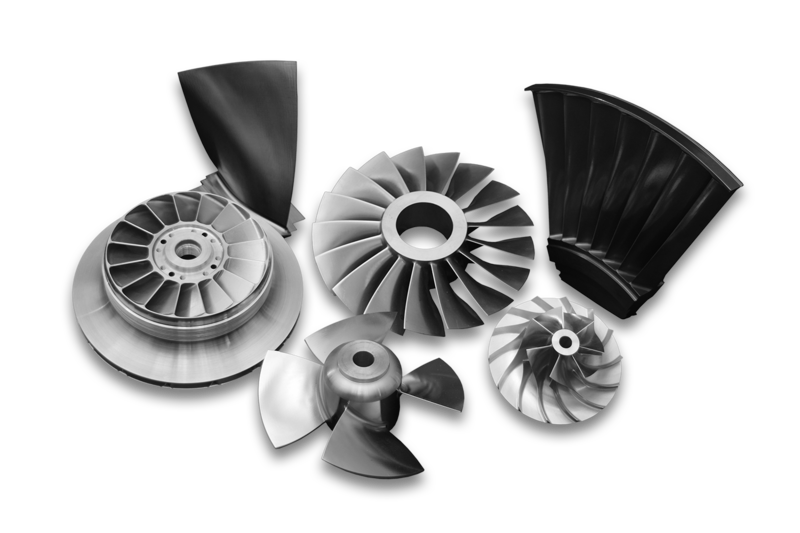 One-piece shrouded impellers have many advantages over parts produced as an assembly of separate hub and shroud components (or even individual blades), including less raw material and fewer manufacturing process steps. Also, integrally shrouded components avoid heat distortion and have stronger shroud joints compared to fabricated assemblies. MAX-SI includes strategies for pocket roughing, plunge milling, box passes for finish/semifinish, and flow-direction finish milling. How can we help you? 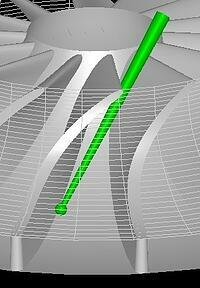 Contact us today to discuss your CAM software needs.